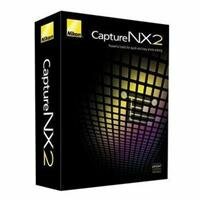 Nikon's Capture NX 2 software is a full-featured, nondestructive photo-editing program that gives photographers all the tools they need to quickly and easily edit their photographs. Also available in a reduced-price upgrade version (requires a valid serial number from v1.x), the software offers such editing features as color control points, selection control points, an auto-retouch brush, and shadow/highlight adjustment. Enhancing the hue, brightness, and saturation of an image is as simple as placing a color control point on your image, then adjusting the length of the sliders. For example, color control points are a remarkably convenient way to change the color of flowers to look better against green surrounding foliage. As an alternative, editors can take a dull gray sky and add blue to change the mood of a captured scene. The selection control points, meanwhile, let you selectively edit photographs without manually outlining or masking the area for editing. Simply place a selection control point anywhere on the photograph, and then choose from almost any adjustment, including D-Lighting, Unsharp Mask, or Noise Reduction, while limiting the 'reach" of that adjustment to just the selected area. Capture NX 2 also adds an automatic retouch tool to its image editing toolbox, allowing users to seamlessly remove blemishes, dust, and other distracting elements from photographs while maintaining the integrity of the image. And thanks to the shadow/highlight adjustment, you can easily open up shadows or recover blown-out highlights. Highlight recovery is most effective for RAW (NEF) files; however, it will work with JPEG and TIFF files as well. The software's redesigned v2 interface includes such features as customized workspaces, an improved toolbar function and layout, improved edit list functionality, a redesigned image browser with a favorites folder, and improved image resolution adjustments. The software's holdover features from v1.x range include black/white/neutral control points, color management control, color aberration control, distortion control, a color booster, contrast/brightness adjustment, a saturation/warmth adjustment, black-and-white conversion, straighten and crop tools, and much more. Finally, Capture NX 2 features award-winning U Point technology for precision selection and application of enhancements without complicated selections or layer masks. Designed to closely match the way photographers work with their images, Capture NX2 is easy to learn and creates the highest-quality results. Note that the software fully integrated with all Nikon software, including Camera Control Pro 2, Image Authentication Software, Transfer, and ViewNX. Anda baru saja membaca artikel yang berkategori Nikon dengan judul Nikon Capture NX 2 Full Version. Anda bisa bookmark halaman ini dengan URL http://newhardwaresoftware.blogspot.com/2012/10/nikon-capture-nx-2-full-version.html. Terima kasih!